The publications are issued between 2010 and 2013. 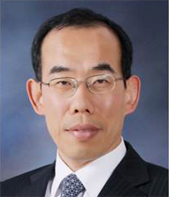 (Coauthor) K Lee, J Yeom, C Yoon, W Yang, B Son c, J Jeon, S Yu, C Park. (2013) Seasonal and geographic effects on predicting personal exposure to nitrogen dioxide by time-weighted microenvironmental model, ATMOSPHERIC ENVIRONMENT, 67: 143-148. (Corresponding Author) Ham SH, Yoon CS, Lee ES, Lee KY, Park DU, Chung EK, Kim PJ, Lee BC, Task-based exposure assessment of nanoparticles in the workplace. Journal of Nanoparticle Research. 14:1126. DOI 10.1007/s11051-012-1126-8. 2012. (First & Corresponding Author) Chungsik Yoon, Kyongnam Ryu, Junghyun Kim, Kiyoung Lee, Donguk Park, New approach for particulate exposure monitoring: determination of inhaled particulate mass by 24 h real-time personal exposure monitoring, Journal of Exposure Science and environmental Epidemiology. 22:344-351. 2012. (Corresponding Author) Sung Ho Hwang, Ik Mo Lee, Chung Sik Yoon, Levels of Total Airborne Bacteria, Gram-Negative Bacteria, and Endotoxin According to Biosafety Levels in Korean Biosafety Laboratories,, Human and Ecological Risk Assessment: An International Journal (1080-7039), 2012. (Corresponding Author) Sung Ho Hwang, Dong Uk Park, Chung Sik Yoon, Biosafety Assessment and Airborne Fungal Concentration as an Evaluation Index in University Laboratories and Hospital Diagnostic Laboratories, Human and Ecological Risk Assessment: An International Journal. 2012. (Corresponding Author) Cho HW, Yoon CS, Workplace field testing of the pressure drop of particulate respirators using welding fume, Annals of occupational Hygiene. 1-11 (doi:10.1093/annhyg/mes015) 2012. (Corresponding Author) Park JY, Yoon CS, Byun HJ, Kim YH, Park DU, Ha KC, Chung EK, Lee SM, Park SK, Evaluation of workers exposed to ethylene glycol monmethyl ether and ethylene glycol monomehtyl ether acetate, Journal of Occupational Health, 54:141-146.2012. (Corresponding Author) Hyunwoo Cho, Chungsik Yoon, Jinho Lee, Seungjoo Lee, Andrew Viner, Eric W Johnson, Comparison of pressure drop and filtration efficiency of particulate respirators using welding fumes and sodium chloride, Annals of occupational Hygiene, 55(6), 666-680, 2011. (Corresponding Author) Hwang SH, Park DU, Joo SI, Park HH, Yoon CS. Comparison of endotoxin levels and Gram-negative bacteria under different conditions in microbial laboratories and a biowaste site, chemosphere, 85(1), 135-139, 2011. (Corresponding Author) Shin MA, Paek DM, Yoon CS, The relationship between the bone mineral density and urinary cadmium concentration of residents in an industrial complex, Environmental research, 111(1), 101 ~ 109, 2011. (Corresponding Author) Hwang GS, Yoon CS, Jung HS, Kim YB, Evaluation of an Incentive-based obesity management program in a workplace, International journal of occupational safety and ergonomics(JOSE), 17(2), 147-154, 2011. (Coauthor) Gyu-Seok Hwang, Jae-Wook Choi, Young Yoo, Ji-Tae Choung and Chung-Sik Yoon, Residential Environmental Risk Factors for Childhood Asthma Prevalence in Metropolitan and Semirural Cities in Korea, Asia-Pacific journal of public health, 1-10, 2011. (DOI: 10.1177/1010539510373139 online published). (Coauthor) Gyu-Seok Hwang, Jae-Wook Choi, Seoung-Hyung Choi, Seoung-Gil Lee, Kyung-Hee Kim, Yong-Min Cho and Chungsik Yoon, Effects of a Tailored Health Promotion Program to Reduce Cardiovascular Disease Among Middle-Aged and Advanced-Age Bus Drivers, Asia-Pacific journal of public health, 2011 (DOI: 10.1177/1010539510373140, online published). (Coauthor) Dong-Uk Park, Seung-Hun Ryu, Shin-Bum Kim, Chung-Sik Yoon, An Assessment of Dust, Endotoxin, and Microorganism Exposure during Waste Collection and Sorting, Journal of the air & waste management association, 61, 461-468, 2011. (Coauthor) Yang WH, Lee KY, Yoon CS, Yu SD, Park KH, Choi WH, Determinants of residential indoor and transportation activity times in Korea, Journal of exposure science and epidemiology, 21,310-316, 2011. (Corresponding Author) Byun HJ, Ryu KN, Jang KJ, Bae HJ, Kim DG, Shin HS, Chu JG, Yoon CS, Socioeconomic and personal behavioral factors affecting childrens' exposure to VOCs in urban areas in Korea, Journal of environmental monitoring, 12(2), 524-535, 2010. (Coauthor) Kim SB, Yoon CS, Park DU, Vaporization and Conversion of Ethanolamines used in Metalworking Operations, Safety and health at work, 175 ~ 182, 2010. (Coauthor) Park DU, Yang HS, Jeong GY, Ha KC, Choi SJ, Kim CN, Yoon CS, Park DY, Paek DM, A Comprehensive Review of Arsenic Levels in the Semiconductor Manufacturing Industry, Annals of occupational hygiene, 54(8), 869-879, 2010. (Coauthor) Gyu-Seok Hwang,Hye-Sun Jung,Yunjeong Yi,Chungsik Yoon,Jae-Wook Choi, Smoking Cessation Intervention Using Stepwise Exercise Incentives for Male Workers in the Workplace, Asia-Pacific Journal of public Health, 1 ~ 9, 2010 (DOI: 10.1177/1010539). (Corresponding Author) Hyaejeong Byun, Hyunjoo Bae, Dongjin Kim,Hosung Shin, Chungsik Yoon, Effects of socioeconomic factors and human activities on children’s PM10 exposure in inner-city households in Korea, International archives of occupational and environmental health, , 83(8), 867-878, 2010. (Coauthor) Sung Ho Hwang, Chung Sik Yoon, Kyong Nam Ryu, Samuel Y. Paik, Jun Ho Cho, Assessment of airborne environmental bacteria and related factors in 25 Underground Railway Stations in Seoul, Korea, Atmospheric environment, 44(13), 1658 ~ 1662, 2010. (Coauthor) Jungkon Kim, Yena Park, Tae Hyun Yoon, Chungsik Yoon, Kyungho Choi, Phototoxicity of CdSe/ZnSe quantum dots with surface coatings of 3-mercaptopropionic acid or tri-n-octylphosphine oxide/gum arabic in Daphnia magna under environmentally relevant UV-B light, Aquatic Toxicology, doi:10.1016/j.aquatox.2009.12.022 2010. (Corresponding Author) 김성호, 박동진, 변혜정, 이현수, 오인보, 심창선, 김양호, 윤충식. 아토피 아동 가정내 집먼지 진드기 농도와 환경요인:환자 대조군 연구, 한국환경보건학회지, 38(3), 204-212, 2012. (First and Corresponding Author) Hyunwoo Cho, Dongjin Park, Chungsik Yoon, Perng-Jy Tsai. Pressure Drop and Filtration Efficiency Differences between Single Type Filter and Dual Type Filter Particulate Respirators using Welding Fumes and Sodium Chloride. Korean Journal of Public Health, 50(1):1-12. 2012. (Corresponding Author) 박미진, 윤충식, 백도명, 황규석. 사업장에서의 소음개선 적용효과와비용편익 분석에 관한 연구, 한국산업위생학회지, 22(2), 149-155, 2012. (Coauthor) 박동욱, 윤충식. 반도체 근로자 질병의 직무관련 논란으로 본 우리나라 산업위생활동 개선방향, 한국산업위생학회지.22(1), 1-9. 2012. (Coauthor) 황규석, 윤충식, 최재욱. 어린이 천식과 주거환경적 위험요인에 대한 환자 대조군연구, 한국환경보건학회지, 38(3), 223-232, 2012. (Coauthor) Park MJ, Yoon CS, Hwang GS. Improvement of employee health through a tailored health promotion program in a multinational manufacturing workplace in Korea. Korean Journal of Public Health, 49(1):32-38. 2012. (Corresponding Author) 함승헌, 김성호, 염종수, 정진호, 이익모, 윤충식, 대학실험실 장비중 석면함유조사, 한국산업위생학회지, 21(2), 37-43, 2011. (Coauthor) 하진실, 정혜정, 변혜정, 윤충식, 김양호, 오인보, 이지효, 하권철. 초등학생 가정을 대상으로 한 바이오에어로졸 노출과 아토피와의 연관성 평가. 한국환경보건학회지, 37(6), 406-417, 2011. (Corresponding Author) 이임규, 강태선, 함승헌, 김정인, 양영숙, 윤충식, 소방공무원의 시간활동 양상과 직무에 따른 소음노출특성, 한국환경보건학회지, 37(2), 94-101, 2011. (First & Corresponding Author) 윤충식, 나노물질의 측정전략의 주요쟁점, 국환경보건학회지, 73 ~ 79, 2011. (Corresponding Author) Park JY, Byun HJ, Hwang GS, Kim YH, Park DU, Ha KC, Chung EK, Yoon CS, Desorption efficiency and comparison of passive sampler and active sampler for the measurement of ethylene glycol monomethyl ether and ethylene glycol monomethyl ether acetate, Korean journal of public health, 48(1), 45-49, 2011. (Coauthor) 변혜정, 류경남, 윤충식, 박정임, 화학실험실의 휘발성 유기화합물 노출에 대한 정량적 평가전략, 한국산업위생학회지, 21(1), 11 ~ 25, 2011. (Coauthor) 이선영 김양지 최영주 이중원 이영현 신미연 김원 윤충식 김성균 정해원. 에틸렌옥사이드에 노출된 병원 근로자들의 소핵빈도와 유전적 감수성 치료와의 연관성. 한국환경보건학회지, 37(6) 429-439. 2011. (Corresponding Author) 황성호, 하권철, 박동욱, 박현희, 주세익, 윤충식, 대학실험실과 병원진단 검사실에서의 부유진균 농도와 환경영향인자, 한국산업위생학회지, 20(4), 256-262, 2010. (Corresponding Author) 황성호, 조현우, 박동욱, 윤충식, 류경남, 하권철, 일부 대학교 미생물 실험실 및 화학실험실에서의 진균분포 및 관련인자, 한국산업위생학회지, 20(1), 41-46, 2010.